Did you know August is National Kids Eat Right Month? Hint: If you needed a recap of what that is, check out my post from last year here! 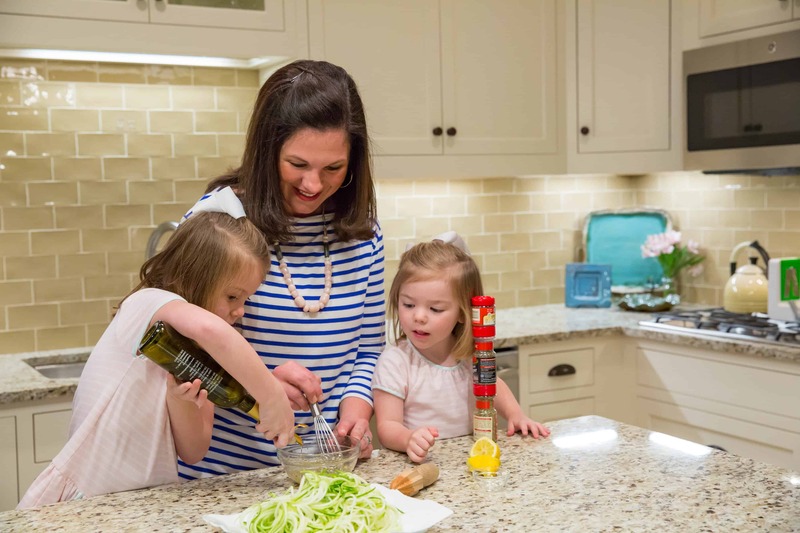 In honor of the month, I’ve joined forces with fellow dietitians under the leadership of Mama Chef Pro Sara Haas RDN to show the nation just how important it is to get in the kitchen with your little ones. 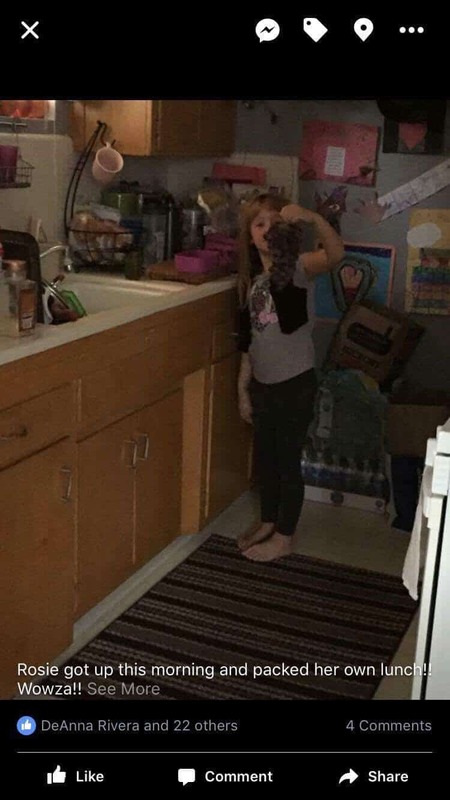 I live vicariously through my friends and family as they teach their young ones the skills every pro home cook needs to know and have enlisted them to kindly donate photos of them in action! Through watching these little tykes get crazy in the kitchen, I’ve learned just how many life skills cooking can really help develop. We’ve got to start by reading those recipes (like these ADORABLE no bake skewers) right? Kids can practice new words and you can get this 1-1 time with them at an early age to help cultivate learning. 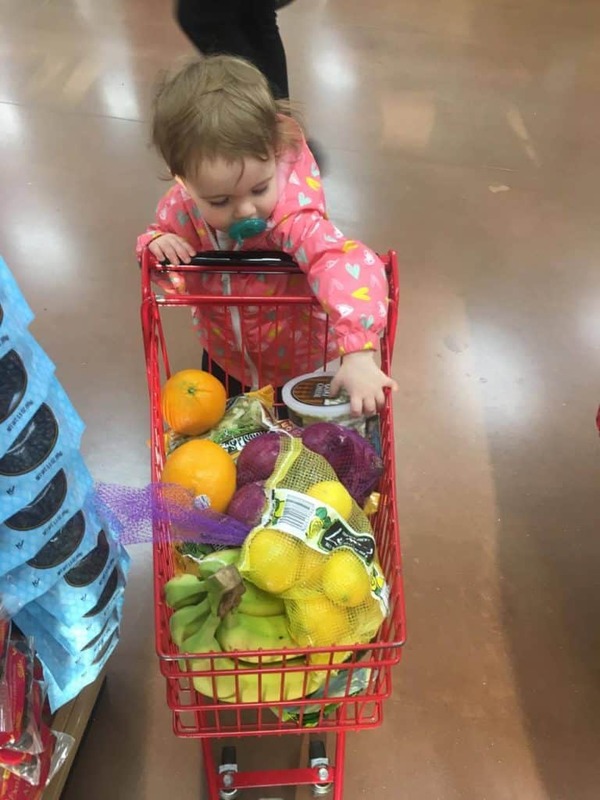 This even starts in the store! Take them to the market and let them begin to read and recognize the colors and ingredients that go into those “cookies” or “salads“! You know those little notebooks or pads of paper that keep piling up from hotels or the $1 spot at Target? Don’t recycle them! Give them to your kiddos so they have their own “recipe book”. Let them draw, color, and create they’re own recipes. You never know, they may just be on to the next culinary breakthrough in your kitchen! Yep, Baby Einstein over here! Asking and showing your kids that one egg or two cups of oats goes into a recipe is a great way to reinforce learning! Don’t just stop there though. Let them measure, chop and pour too! Grapes are purple, lettuce is green, and beets make an amazing red food coloring! 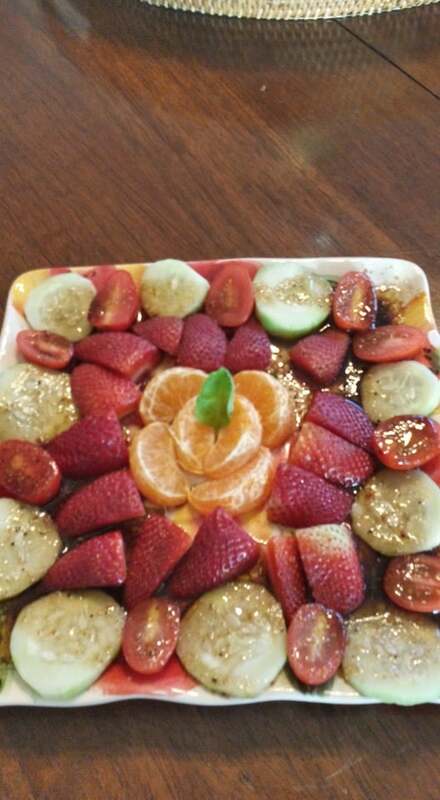 Expose your tykes to the colors and let them see how amazing and beautiful good food is! Just look at the salad below from mini chef Ellie! Or, head on over to Chef Jay and check out how this national chef gets in the kitchen with his little girl! Still learning here myself, but after placing those muffins into the oven for 18 minutes or so, that will likely be the longest 18 minutes of their day! Show them during this time how you can “multitask” and keep them occupied with helping you clean up. Two extra hands in the kitchen to dry, yes please! To me, this is the MOST IMPORTANT SKILL you can gain in any kitchen. I like to think of it as the greatest tool to #simpleswap success. 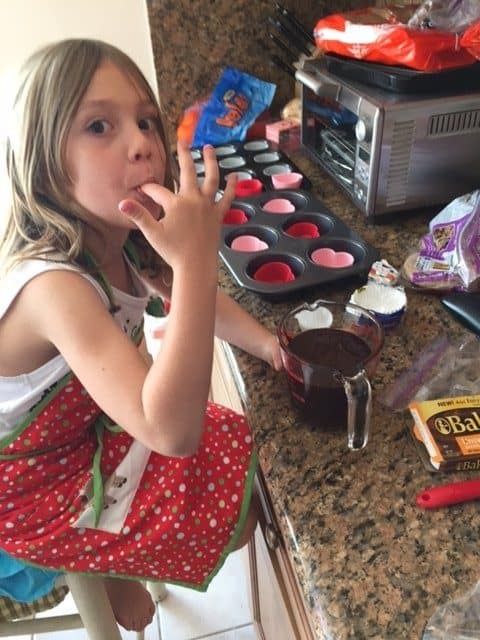 Let kids get creative help them recognize you can sometimes veer off a recipe using ingredients you have on hand that may also even end up amping the nutrition too! For instance, try using that zucchini in place of some of the butter in your Chocolate Cake! It will really show kids just how WILD their parents are and may even get them to try something they may not have before. If you’re not sure how to start, let me share two amazing resources I just found out about through some sponsored work travel! #1- Uncle Ben’s – Ben’s Beginners! 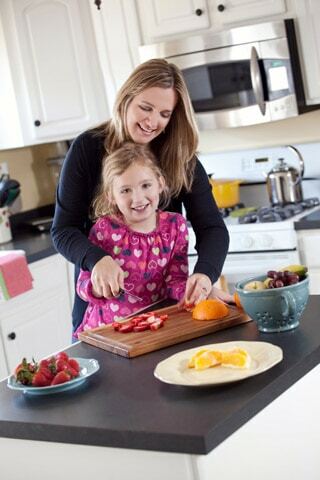 This is a great program launched by MARS Foods to help get families cooking together. They even have a fun recipe contest that you can win BIG $$ for your family and school! #2 – HelloFresh Family Box! The meal delivery service is taking to the next level with their family box coming this month! Stay tuned because I’m sure it’ll be filled with FUN and creative recipes and toolkits to get kids comfortable in that kitchen. Who knows, they may get so excited they’ll make their OWN lunch! 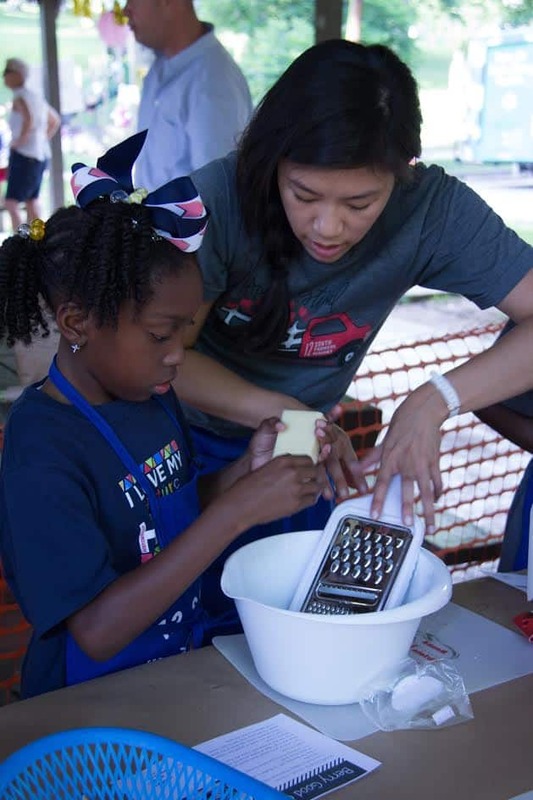 Need more inspiration to get those kids in the kitchen? Check out my video below and you’ll see, it can start at a VERY young age too! The next Gordon Ramsey at 6 months, maybe so! 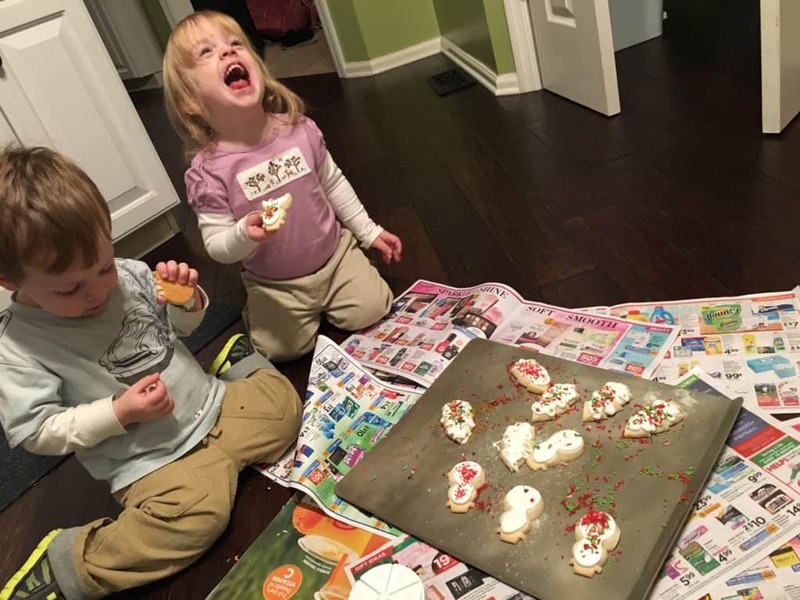 Thank you so much for following along the Kids Eat Right Month and donating your adorable photos for this post! Great post, Liz! And one more thing kids might learn from cooking: the ability to taste and appreciate real food. 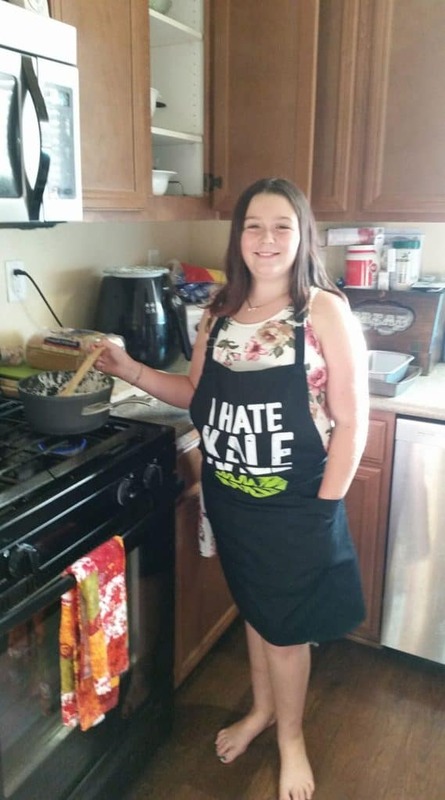 Maybe the young girl with the apron might actually wind up likeng kale (instead of hating it)! Thank you so much Fran! I couldn’t agree more!